Ex First State Investments NZ director, Matthew Laing, has joined Salt Funds Management in a new position as head of distribution Asia Pacific. Matthew Goodson, Salt managing director, said Laing assumed a “key sales role” within the almost $2 billion boutique ahead of a planned product launch. Goodson said Laing had taken on some of the duties previously filled by former Salt chief operating officer (COO), Anthony Sowerby, who resigned earlier this year. Roger Clayton, previously ASB head of wealth, took on the Salt COO role in June. However, Sowerby “covered a wide area” including sales, Goodson said. According to the Salt website, Laing will be “engaging with organisations who are interested in Salt’s range of investment offers”. Salt manages $1.9 billion of mainly Australasian equities for a client list dominated by two institutional clients: AMP Capital NZ and BT/Westpac. The funds management business, which emerged out of BT in 2013, currently has about $350 million invested across its range of three retail products with the Long/Short Fund representing about $275 million of that total. 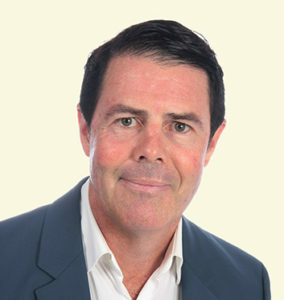 Laing was director of First State Investments NZ for about five years beginning in July 2012. Previously, he served a two-year stretch as Axa Investment Managers NZ head of wholesale. He recently returned to NZ after a brief sojourn in Asia.